Trinidad and Tobago is currently being governed without any trade policy being in place. In fact the last Trade Policy was developed by the People’s Partnership Government led by Kamla Persad-Bissessar in 2013. This policy covered the period ended December 2017. The trade diversification thrust if there was one is not currently being guided by any trade policy. This means the government and industry is moving aimlessly without set guidelines and targets. The recent conflicting utterances on Agriculture by the Prime Minister and the Minister of Trade highlight this point. The Minister of Trade and Industry recently extolled the virtues of Food Production for our nation’s youth. Whilst the Prime Minister has heaped scorn on the notion of agriculture as an avenue for economic diversification at a public event this month. 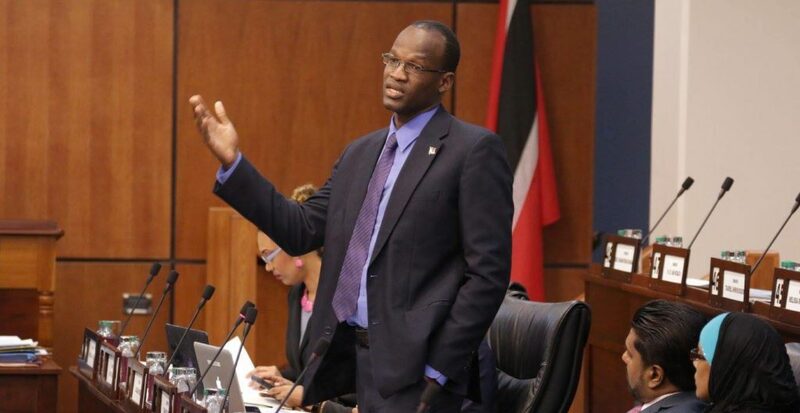 The Rowley-led PNM came to power in 2015 and appointed a Minister of Trade who lacked the required competence and vision. The result is a business community reeling from faux pas after bungling faux pas. The Minister of Trade promoted the trade agreement in 2017 for Trinidad and Tobago Manufacturers to supply goods to Venezuela. The question must be asked what is the position with a government guarantee or state to state agreement that would have protected local manufacturers. To date there are manufacturers complaining about monies outstanding. The Prime Minister and several Ministers have made multiple visits to Venezuela for all kinds of engagements with the President of Venezuela on whose behest the supply agreement was initiated. However, neither the Prime Minister nor the Minister of Trade bothered to even raise the debt to our manufacturing sector. The Rowley-led PNM has effectively abandoned all forms of trade diplomacy. No doubt a direct result of absence of any clear policy, structures or leadership by Minister Gopee-Scoon. We are at a juncture as a nation where despite our aspirations to sustainable economic development there is no plan in place. Therefore, a Minister of Foreign Affairs for example has no frame of reference with which to guide foreign service officers who also play a key role given the bilateral and multilateral nature of trade facilitation. The poor performance of the eTeck parks under this Rowley-led PNM government matched by the systematic shutting down of Energy Skills Centres points to the underlying problem of no strong industrial policy to drive the process of economic diversification. 1. Labour is required for production for trade. What plan does the government have to address T&T labor productivity limitations to allow for an increase in trade? 2. What is the government’s plan to use trade to create new jobs? 3. Is T&T on the path to improve trade with Africa and India? 4. Is T&T considering strengthening trade with China? 5. How will the natural gas deal signed with Venezuela affect T&T trade relations with the US? 6. Is the inflow of migrants from Venezuela part of the Venezuela – T&T natural gas deal? 7. 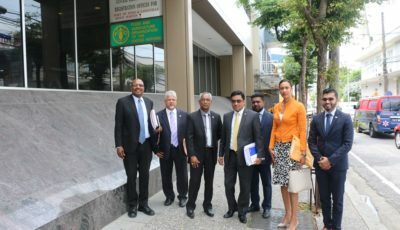 What is government’s plan to diversify the T&T economy? 8. How can T&T facilitate another sector of the economy to contribute at least 10% of total export? 9. Is there any plan to diversify T&T’s export markets? The existing trade policy states, T&T has bilateral trade agreements with a number of countries in the Western Hemisphere, namely Venezuela, Colombia, Cuba, Dominican Republic, and Costa Rica. 10. What are the preference utilization rates for each country? 11. What percentage of the exports to these countries are covered by the trade agreement? The trade policy also considers the utilization rates. 12. What has the government done from 2015 to present to improve the utilization rates? 13. How will Brexit affect T&T export trade? CBTPA (T&T trade agreement with the US as part of the Caribbean Basin Initiative) is due to expire by 2020. What steps have the GORTT taken to renegotiate a new agreement? 14. Does the GORTT intend to give the US the same preferential access that it gave to the EU as it did with the EPA?